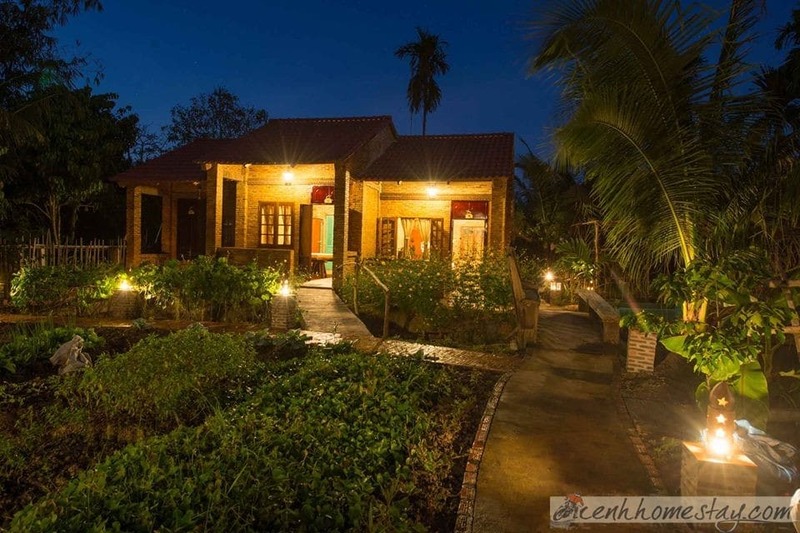 (Kenhhomestay.com) Talking about Can Tho, we are absolutely surprised by the charming landscape of the river, of the tuy nhiên and the on the oar backward. And perhaps visiting this beautiful land of the West, the visitors will not be able to ignore the experience of water waves in Cai Rang floating market. Seeing the love, scene and rare poetry which is place on this S shaped land. When the Foreign visitors visit Can Tho, they are passionate about the beauty and simplicity of the land and people here. 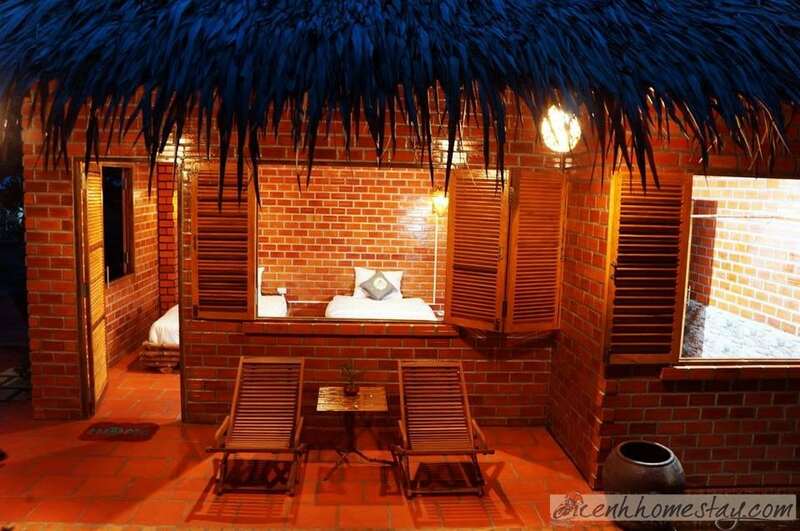 The appearance of the homestay in Can Tho lured the tourists, causing them “collapsed” forget all the way to go back. And Mekong Rustic Can Tho is such a place. Although it was newly built in early 2017, this beautiful Can Tho homestay has made much “West” passionate. 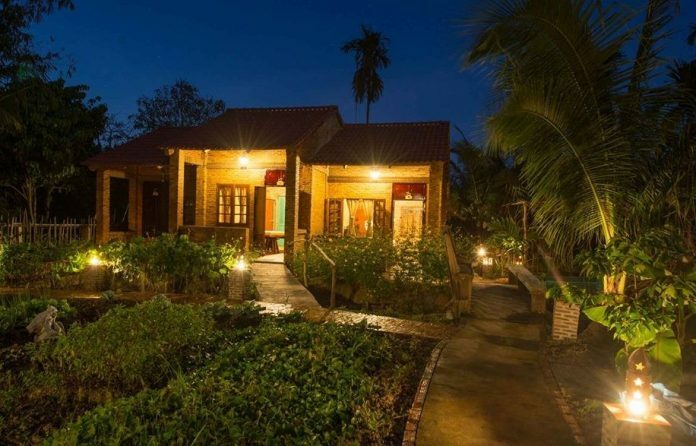 Mekong Rustic is only 5km away from Cai Rang floating market, 9km from Xuan Khanh trading center and 62km from Rach Gia airport. 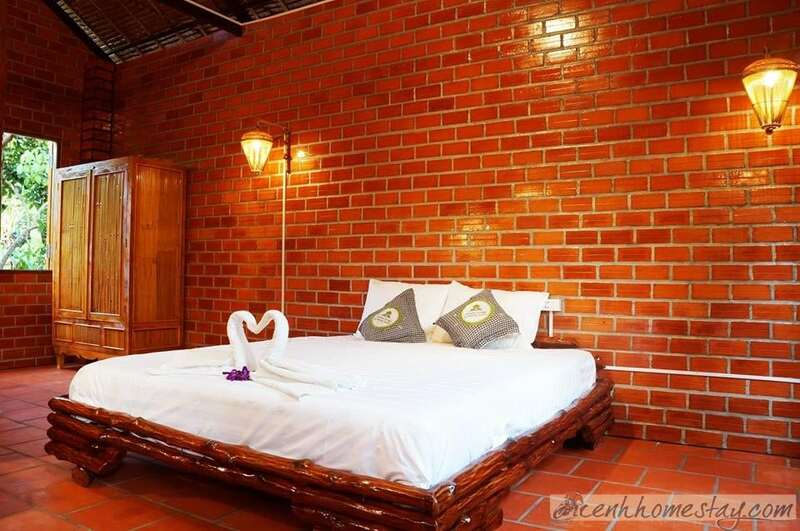 You can choose homestay to enjoy the sunny days in Can Tho. It is true that when you look at the space of this idyllic and close garden, you will find your heart beating slowly. Feeling the peaceful and pleasant atmosphere will give you a memorable day. 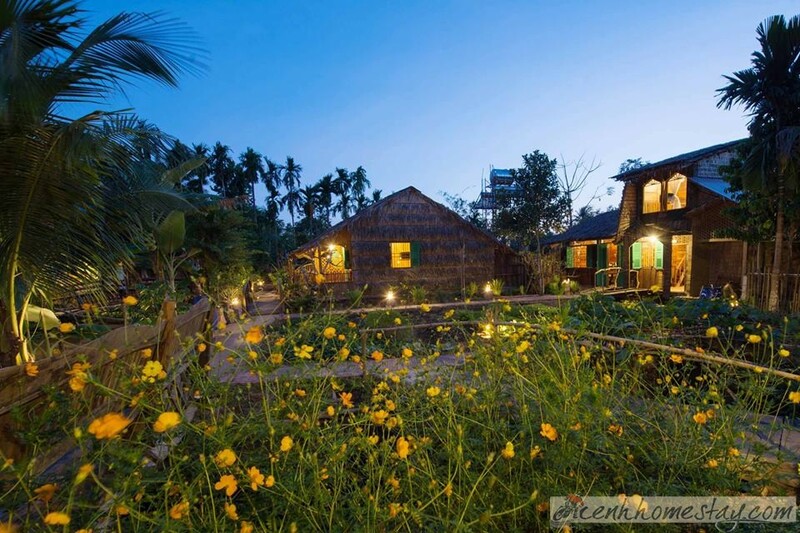 The small garden, rows of green vegetables and green fruit garden together contribute to “blow soul” to help this Can Tho homestay more impressive. Wood is the primary material of this bedroom space. With the arrangement and ingenious arrangement of wood fibers that make up the impressive and unique wall. When you enter this bedroom space, the warmth of wood will spread out to make you feel relaxed and comfortable. The view of the window overlooking the outer space is very green and relieved. Welcoming the sunrise in a sunny and windy space like this will make your soul fresh. 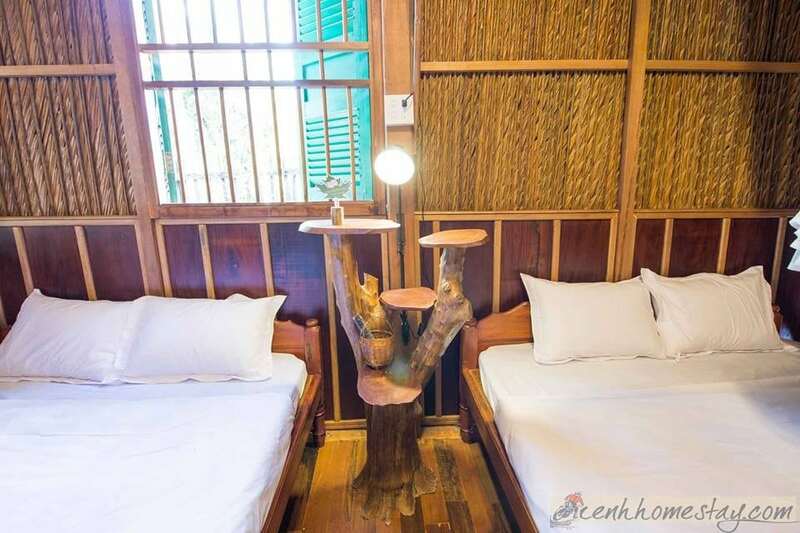 The small corner of the room is full of sunshine and the bamboo furniture is the pretty private place for you to sip a cup of tea and talk about life story. Add a set of tables and chairs are trimmed meticulously and sophisticated. 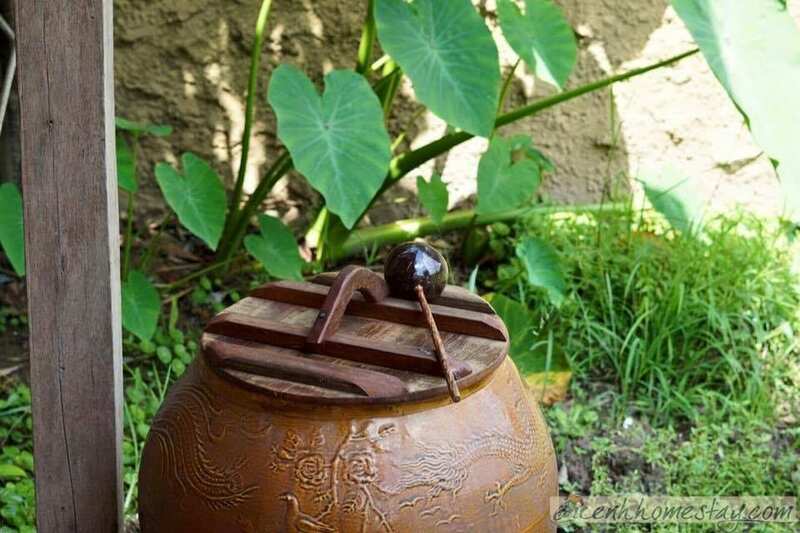 You will be surprised by the craftsman’s talent to create it. The furniture is selected from long-lasting wood, and covered with a glossy and luxurious paint. The space of this beautiful homestay in the darkness and the yellow lights is very gorgeous. There is something light and romantic in every little room. 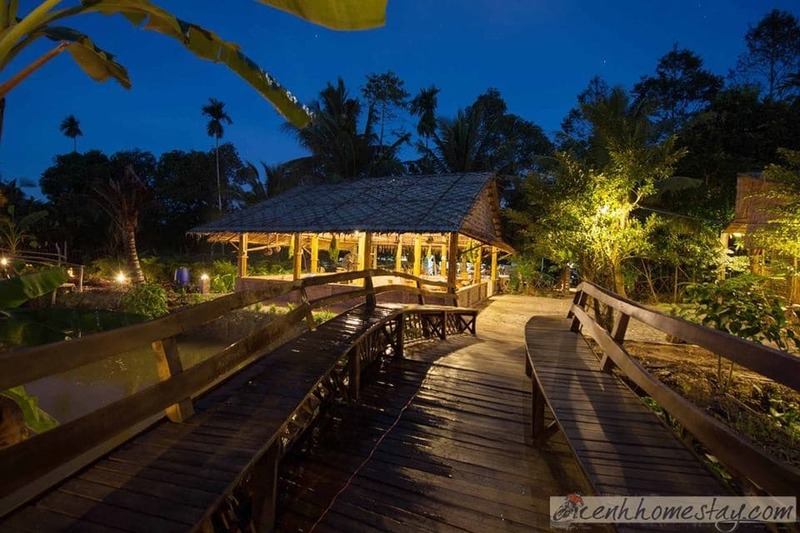 The small wooden bridge, designed in two couches, is where you can sit and watch the sunset when night falls. The coconut trees soaring up to the blue sky, the banana leaf leaves the ring in the wind and the frogs clamor under the water. 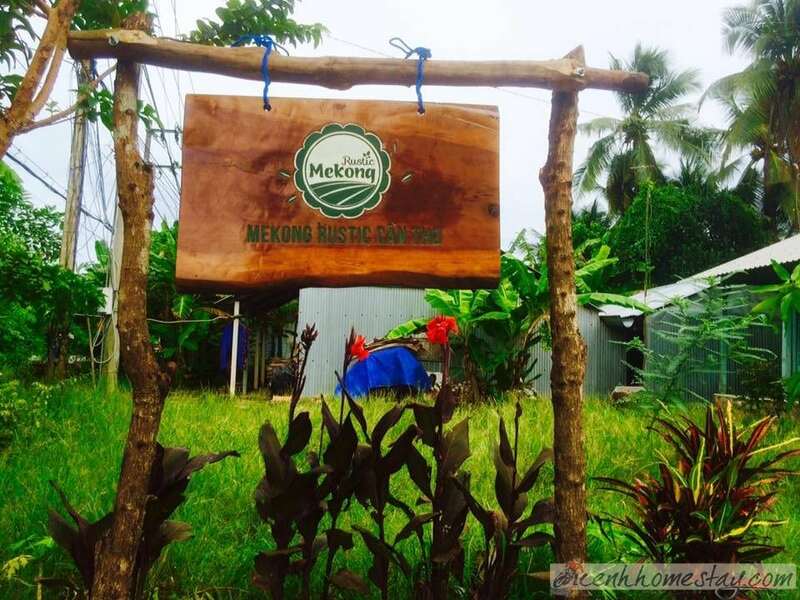 Forgetting all the trouble, coming to Mekong Rustic homestay, you will have a completely different world which is gentle and very thoughtful. The bamboo bridge squeezes through the small canal which is a typical symbol that when you come to the western provinces will see. Although the of this bridge is tiny, it is very extremely solid. The warm and spacious spaces for you to eat or enjoy the evening tea are also very appropriate. 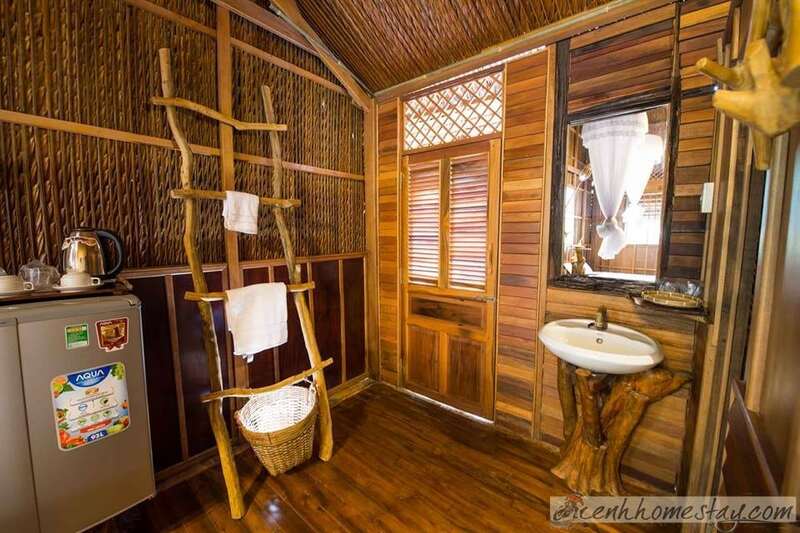 The owner of this Mekong homestay is so delicate in arranging furniture and choosing such wood material. 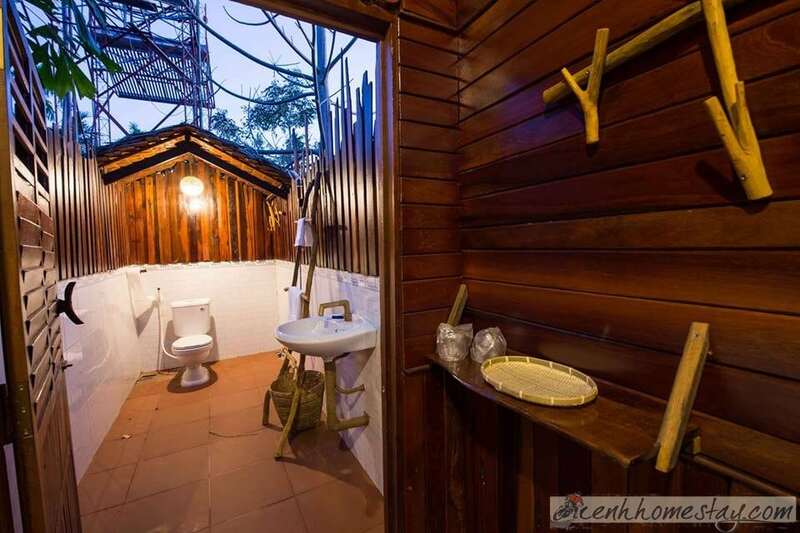 Western guests come here for a massage because of the unique and impressive. The ancient jars are still preserved today with thehard-walled walls and picturesque door panels. The space brings to us the ancient breath and memories of the old days. The vegetable beds are taken care of everyday to provide guests with a warm and intimate meal. Coming to Can Tho Mekong Rustic homestay, you will feel a very different atmosphere which is quiet like a peaceful countryside. That space helps you to sleep the dullness of the past and allows you to enjoy the aftermath of life. Many West visitors when visiting the West homestay did not want to leave, the Vietnamese’s guests are also. 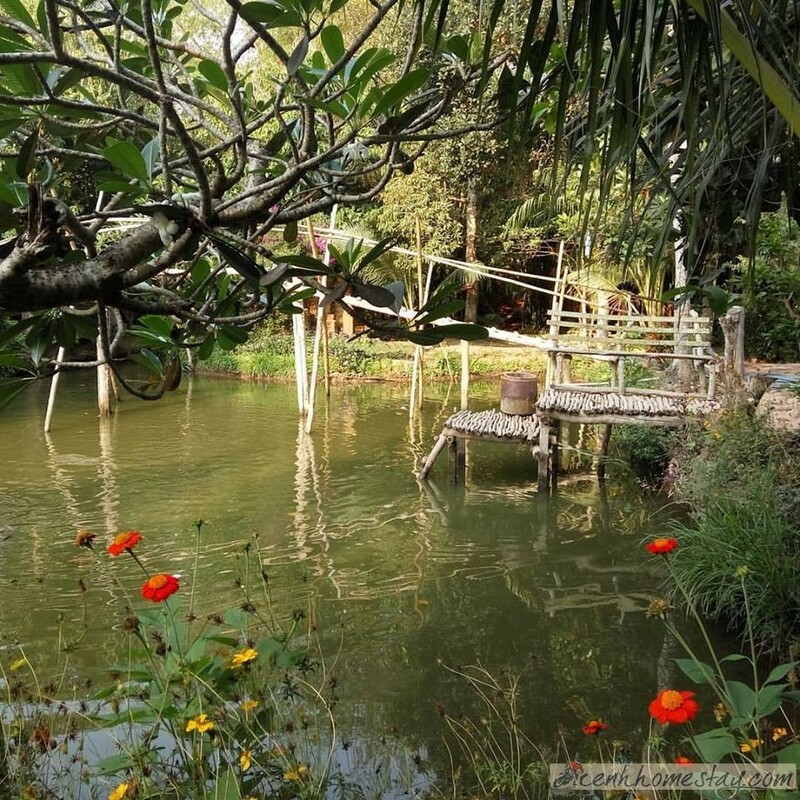 Visiting Can Tho travel, you should spend time enjoying a day in this peaceful space. We wish you have a meaningful trip.